Actor John Gregson would have turned 100 on 15th March. But we were robbed of his undoubted talent way too young (he died of a heart attack while on holiday in Porlock at just 55). You can’t really imagine an actor these days rising to such heights from such a standing start. Born to an Irish family in Liverpool, he didn’t show much early aptitude or appetite for acting at all. Mediocrity beckoned. He left school at 14 and worked first as a telephone engineer and then for the local council. In the war, he served on a minesweeper. His ship got sunk by a torpedo – he was rescued but injured. Perhaps John Gregson was going to be just another demobbed veteran with limited chances. However, a spell in amateur dramatics led to stints in rep in Liverpool, Perth and finally a move to London. And it’s here that his career began a slow rise that led to him becoming a national treasure to boot. Gregson was in some seminal Ealing comedies – Whisky Galore! and the Lavender Hill Mob, to name but two. 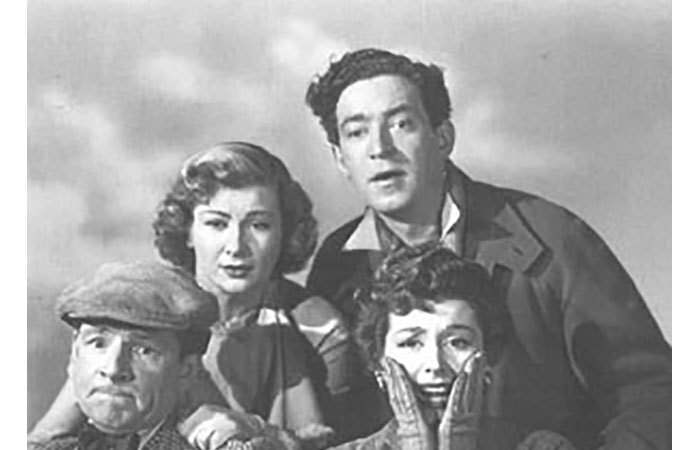 It was in 1953 that the star was born, with Gregson playing one of the leads in the madcap road comedy Genevieve, along with Kenneth More, Dinah Sheridan and Kay Kendall. There was still juice in the tank of his career. He played decent types, people you could respect and look up to a bit. He played alongside John Mills in popular war film Above Us the Waves in 1956. But fame is a cruel mistress and his career began to go off the boil. He became typecast as a stiff upper lip type. TV was an obvious move. He jumped in and he became a regular in the 60s. As an odd claim to fame, he starred in a Hamlet cigar advert. But where was he heading? Where do you go when you’ve been a genuine film star and the roles aren’t coming – his last leading film role was in 1962. The acting world mourned his death. The people had lost an actor from the golden era of film. The Catholic boy from Liverpool had done good. They don’t make them like that anymore.